Sebastian von Eschburg, scion of a wealthy, self-destructive family, survived his disastrous childhood to become a celebrated if controversial artist. He casts a provocative shadow over the Berlin scene; his disturbing photographs and installations show that truth and reality are two distinct things. When Sebastian is accused of murdering a young woman and the police investigation takes a sinister turn, seasoned lawyer Konrad Biegler agrees to represent him - and hopes to help himself in the process. But Biegler soon learns that nothing about the case, or the suspect, is what it appears. The Girl Who Wasn't There is by Ferdinand Von Schirach and is due to be published in January 2015. Sergeant Hamish Macbeth is alarmed to receive a report from a woman in the small village of Cronish in the Scottish Highlands. She has been brutally attacked and the criminal is on the loose. But upon further investigation, Hamish discovers that she was lying about the crime. So when the same woman calls him back about an intruder, he simply marvels at her compulsion to lie. This time, though, she is telling the truth. Her body is found in her home and Hamish must sort through all of her lies to solve the crime. 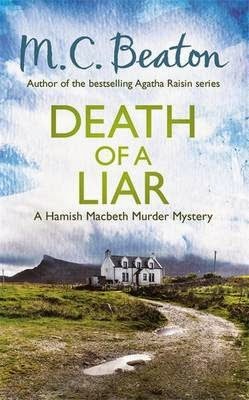 Death of a Liar is by M C Beaton and is due to be published in February 2015. The Scrivener is by Robin Blake and is due to be published in March 2015. The year is 1742, and the people of Preston are looking forward to their ancient once-every-twenty-years festival of merriment and excess: the Preston Guild. But the prospect darkens as the town plunges into a financial crisis caused by the death of pawnbroker and would-be banker Philip Pimbo, apparently shot behind the locked door of his office. Is it suicide? Coroner Titus Cragg suspects so, but Dr Luke Fidelis disagrees. 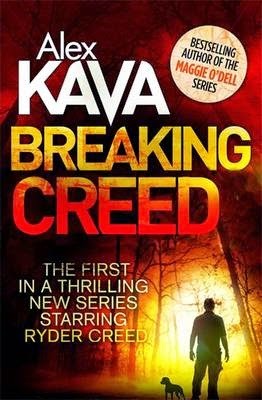 To untangle the truth, Cragg must dig out the secrets of Pimbo's personal life, learn the grim facts of the African slave trade, search for a missing Civil War treasure and deal with the machinations of his old enemy Ephraim Grimshaw, now the town's mayor. Outwardly mild-mannered as ever but passionate for justice, Cragg relies once again on the help and advice of his analytical friend Fidelis, his astute wife Elizabeth and the contents of a well-stocked library. In his dark and fetid prison cell, serial killer Daniele de Robert is plans his retribution. The betrayals he has suffered haunt his dreams until, one night, he escapes. In a small, beautiful village in the Tuscan countryside a prominent lawyer and his wife are murdered. As the police inspect the scene they find nine terrifying photographs: nine women, slaughtered. It is Florentine Police Chief Michele Ferrara's worst nightmare: a case involving the untouchable men and women at the top of Italian society, a dark and powerful cult which knows no bounds, and mounting victims. Amongst a web of obsession, manipulation, and violence, Ferrara must face his demons. 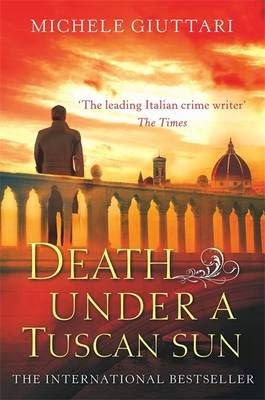 Death Under a Tuscan Sun is an incredibly gripping and atmospheric work of detective fiction, written with incomparable authenticity by former Florentine police chief Michele Giuttari. It is due to be published in March 2015. Death Comes to the Ballet Russes is by David Dickinson and is due to be published in January 2015. London, 1912, and the famed Ballet Russes have come to London to perform. Anticipation is high, for Diaghilev's troupe is renowned throughout Europe. At the end of their famed performance of Thamar at the Royal Opera House, the Georgian queen stabs her prince to death and throws him into the river. But life mirrors art when the prince is found truly dead, stabbed through the heart in the orchestra pit below stage. But the corpse is not the dancer in the programme. It is his understudy. Powerscourt is summoned to investigate. But who was the intended victim - the understudy, or the star of the Ballets Russes? And the Ballet Russes are not the only Russian visitors in London this season. Lenin, Europe's most dangerous revolutionary, has sent some bank robbery money to be changed into pounds. There are stolen jewels from St Petersburg to be sold. And there are other darker forces abroad too and Powerscourt has to look death in the face before he can solve the mystery of Death at the Ballet Russes. Malice is by Keigo Higashino and is due to be published in February 2015. Acclaimed bestselling novelist Kunihiko Hidaka is brutally murdered in his home on the night before he's planning to leave Japan and relocate to Vancouver. His body is found in his office, in a locked room, within his locked house, by his wife and his best friend, both of whom have rock solid alibis. Or so it seems. Police Detective Kyochiro Kaga recognizes Hidaka's best friend from years ago when they were both teachers. Kaga went on to join the police force while Nonoguchi became a full-time writer, though with not nearly the success of his friend Hidaka. When Kaga suspects something is a little bit off with Nonoguchi's statement, he investigates further, ultimately executing a search warrant on Nonoguchi's apartment. There he finds evidence that shows that the two writers' relationship was very different than they claimed...In a brilliantly realized tale of cat and mouse, the detective and the writer battle over the truth of the past and how events that led to the murder really unfolded. Which one of the two writers was ultimately guilty of malice? The mutilated body of a senior banker is found on a remote Kent beach. Could the man's death be linked to the scandal engulfing his employer, a global investment bank created by the CIA to help it track terrorism financing? Kate Pendragon, a financial analyst seconded to MI5, discovers that the bank is close to collapse, something that threatens to bring down the CIA. Elsewhere, intelligence is gathered on an Islamic terrorist cell intent on triggering a nuclear catastrophe to rig the world's financial markets - rigged, it would appear, by the Americans. But will rogue agents in the CIA really allow the disaster to happen in order save their bank? Pendragon believes the intelligence community on both sides of the Atlantic could be falling for a sophisticated hoax. Only, no one is listening to her. And the clock is ticking... Toxic is the debut novel by Jamie Doward and is due to be published in March 2015. 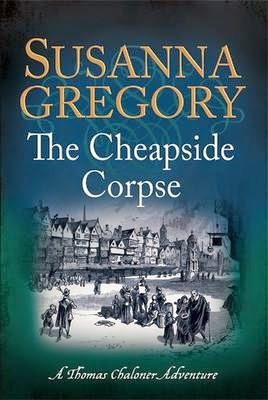 The Cheapside Corpse is by Susanna Gregory and is due to be published in January 2015. The Honorable Daisy Dalrymple-Fletcher is on a convalescent trip in the countryside, visiting old school friends. The three of them, all unmarried, have recently bought a house together. They are a part of the generation of 'superfluous women', brought up expecting marriage and a family, but left without any prospects after more than 700,000 British men were killed in the Great War. Daisy and her husband Alec - Detective Inspector Alec Fletcher, of Scotland Yard - are invited for Sunday lunch, where one of the women mentions a wine cellar below the house which remains resolutely locked. Alec picks the lock but when he eventually opens the door, what greets them is not a cache of wine, but the stench of a dead body. And with that, what was a pleasant Sunday lunch becomes a much darker affair. Now Daisy's three friends are the suspects in a murder and her husband Alec is a witness. So before the local detective, Superintendent Crane, can officially bring charges against her friends, Daisy is determined to use all her resources and skills to solve the mystery behind this perplexing locked-room crime. Superfluous Women is by Carola Dunn and is due to be published in March 2015. When Julian Schaeffer is shot in front of his son in a London park, suspicion falls on his estranged wife. The woman has a seemingly watertight alibi, but Carlyle – trying to make the best of a difficult relationship with his new sergeant, Umar Sligo – won’t stop digging. Focused on the Schaeffer case, the inspector is not too interested when Daniel Sands is hauled in to Charing Cross, accused of kidnapping. Then he discovers Sands’s backstory and finds himself propelled forward in a quest for justice for two fathers and their destroyed families. Sins of the Father is by James Craig and is due to be published in February 2015. Keep the Midnight Out is by Alex Gray and is due to be published in March 2015. When the body of a red-haired young man is washed up on the shore of the beautiful Isle of Mull, Detective Superintendent Lorimer's tranquil holiday away from the gritty streets of Glasgow is rudely interrupted. The body has been bound with twine in a ghoulishly unnatural position and strongly reminds Lorimer of another murder: a twenty year old Glasgow case that he failed to solve as a newly fledged detective constable and which has haunted him ever since. As local cop DI Stevie Crozier takes charge of the island murder investigation, Lorimer tries to avoid stepping on her toes. 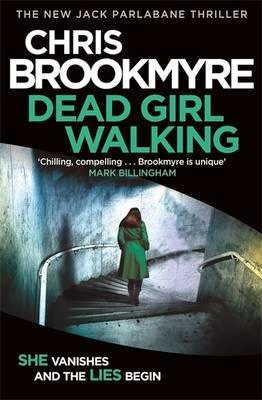 But as the similarities between the young man's death and his cold case grow more obvious, Lorimer realises that there could be a serial killer on the loose after all these years. As Keep the Midnight Out switches dramatically between the Mull murder and the Glasgow cold case two decades earlier, DC Lorimer tries desperately to catch a cold-hearted killer. Has someone got away with murder for decades? Molly's sixth sense is warning her - danger and death lie ahead! A woman private eye in a man's world, Molly Murphy is having a hard time succeeding in running her detective agency in New York. That's why she agrees to go undercover for the NYPD to expose a pair of spiritualist sisters as con artists...even though the offer of work has come from police captain Daniel Sullivan. Sullivan had once won Molly's heart - until she discovered he has a socialite fiancée and an upcoming society wedding. Still, needs must, and so Molly finds herself posing as an Irish cousin at the uptown mansion of Senator Barney Flynn. Flynn's invalid wife hopes the psychic sisters can contact her dead son, kidnapped and lost in a sensational crime, and after a spooky séance, Molly isn't so sure the sisters are fake...,but she's certain the police bungled the kidnapping case. But very soon her questions are leading her to danger...and it doesn't take a psychic to tell Molly that if she continues she may very well end up dead! 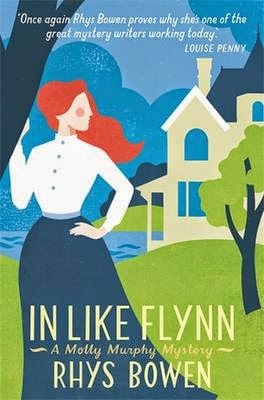 In Like Flynn is by Rhys Bowen and is due to be published by January 2015..
Barcelona, 1952: General Franco's fascist government is at the height of its oppressive powers, casting a black shadow across the city. When wealthy socialite Mariona Sobrerroca is found dead in her mansion in the exclusive Tibidabo district, the police scramble to seize control of the investigation. Ana Marti Noguer, an eager young journalist, is surprised to be assigned this important story, shadowing Inspector Isidro Castro. But Ana soon realises that a bundle of strange letters unearthed at the scene point to a sequence of events dramatically different from the official version. She enlists the help of her cousin Beatriz, a scholar, and what begins as an intriguing puzzle opens up a series of revelations that implicate the regime's most influential figures. The two women have placed themselves in mortal danger. As the conspiracy unfolds, Ana's courage and Beatriz's wits will be their only weapons against the city's corrupt and murderous elite. The Whispering City is by Sara Moliner and is due to be published in February 2015. After a showdown with the notorious Yemeni terrorist known as The Panther, life seems to be getting quieter for maverick Federal Agent John Corey. Professionally side-lined, away from his wife, and partnered up with a young, good-looking rookie named Tess, Corey is saddled with a dead-end job running easy surveillance on a group of Russian U.N. delegates in New York City. But then his subjects slip the net, Tess seems to be acting suspiciously, and an old, dangerous foe reappears. With Russia resurgent and a clear and present danger in his own back yard, suddenly Corey's life hits the fast lane once again. A Quiet End is by Nelson DeMille and is due to be published in June 2015.
is as close to anonymous as she can get: with no ties, no home, a backroom job, hers is a life lived under the radar. She's a nobody; she has no one and that's how she wants it. 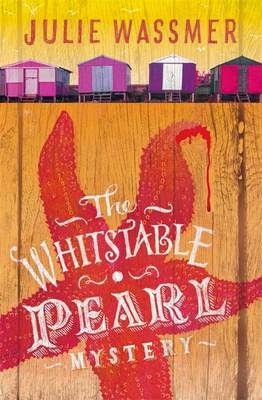 But once Alison was someone else: once she was Esme Grace, a teenager whose bedroom sat at the top of a remote and dilapidated house on the edge of a bleak estuary. A girl whose family, if not happy, exactly, was no unhappier than anyone else's - or so she thought. 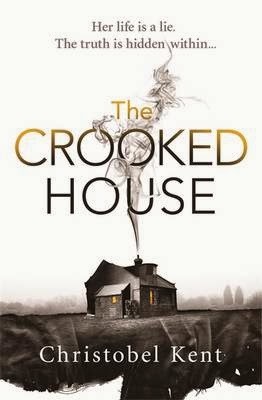 Then one night a terrible thing happened in the crooked house, a nightmare of violence out of which Alison emerged the only witness and sole survivor and from which she has been running ever since. Only when she meets academic Paul Bartlett does Alison realise that if she's to have any chance of happiness, she has to return to her old life and confront the darkness that worked its way inside her family and has pursued her ever since. Strikingly atmospheric and compelling, this psychological thriller is about one woman's search for the truth in a closed community full of dark secrets. Kevin, a Ph.D. student in chemistry, is stunned by the news that his graduate advisor, Michael Ward, has died in a fire. Then Kevin receives a cryptic email message from Ward, sent just before his death. According to the message, Ward was being chased by someone intent on obtaining a notebook with the results of a supposedly failed experiment Kevin and Ward had worked on together. Before Kevin can make sense of the message, Ward's attackers try to kill him. Labelled a crank by the police, Kevin escapes the gun-wielding assailants and unwittingly draws his girlfriend, a medical student named Erica Jensen, into their sights. Their flight leads them to the notebook, which reveals that Kevin unknowingly participated in one of the most important discoveries of the century, a chemical process called Adamas worth billions of dollars. Alone and on the run from deadly assassins, Kevin and Erica have to stay alive long enough to prove to the world that Adamas actually works... 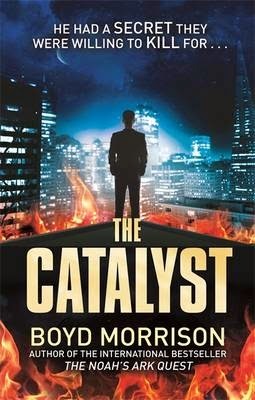 The Catalyst is by Boyd Morrison and is due to be published in February 2015. In 1358, over a century after its foundation in Cambridge, the college of Michaelhouse is facing a serious shortfall of funds and competition from upstart’s rivals such as Zachary Hostel. Their problems are made no easier by the hostility of the town's inhabitants who favour the university moving away to the Fens. This simmering tension threatens to break into violence when a well-known tradesman is found dead in one of the colleges. Matthew Bartholomew knows he was poisoned but cannot identify the actual substance never mind the killer. He also worries that other illnesses and deaths may have been caused by the effluent from his sister's dye works. Torn between loyalties to his kin and to his college, he fears the truth may destroy both his personal and professional life, but he knows he must use his skills as a physician to discover the truth before many more lose their lives entirely. A Poisonous Plot is the twenty-first book in the Brother Matthew Bartholomew series by Susanna Gregory and it is due to be published in June 2015. Lori Maddox chooses to spend the year after university travelling and visits China where she finds casual work as a private English tutor. Back in Manchester, her parents Joanna and Tom, who separated when Lori was a toddler, follow her adventures on her blog, ‘A slacker’s guide to China’. It seemed like Lori was having a great time, but when Joanna and Tom hear nothing for weeks they become increasingly concerned. It is impossible to find out anything from 5,000 miles away so they travel out to Chengdu in search of their daughter. Landing in a totally unfamiliar country, Joanna and Tom are forced to turn detective, following in their daughter’s footsteps, tracing the people she mentioned in her posts. It’s an unbearably difficult challenge, made harder as all the reasons for the breakdown of their relationship twenty years earlier resurface with a vengeance. When a woman’s remains are discovered close to the last sightings of Lori, it appears they have found their daughter and a murder inquiry is launched. But nothing could prepare them for the shocks still in store . . . Half the World Away is by Cath Staincliffe and is due to be published in June 2015. 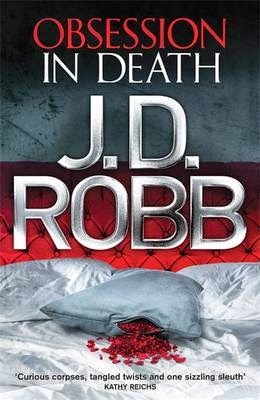 Obsession in Death is by J D Robb and is due to be published in February 2015. A crisp winter morning in New York. In a luxury apartment, the body of a woman lies stretched out on a huge bed. On the wall above, the killer has left a message in bold black ink: FOR LIEUTENANT EVE DALLAS, WITH GREAT ADMIRATION AND UNDERSTANDING. Eve Dallas is used to unwanted attention. Famous for her high-profile cases and her marriage to billionaire businessman Roarke, she has learned to deal with intense public scrutiny and media gossip. But now Eve has become the object of a singular and deadly obsession. She has an 'admirer', who just can't stop thinking about her. Who is convinced they have a special bond. Who is planning to kill for her - again and again...With time against her, Eve is forced to play a delicate - and dangerous - psychological dance. Because the killer is desperate for something Eve can never provide - approval. And once that becomes clear, Eve knows her own life will be at risk - along with those she cares about the most. A complex case ...When DI Wesley Peterson is summoned to investigate a killing, he assumes that the case is a routine matter. But soon dark secrets and deadly deceptions start to emerge from the victim's past, and Wesley begins to realise that a simple incident of cold-blooded murder is altogether more calculated and complicated that he could ever imagine. Tracing back through time ...Meanwhile, archaeologist Neil Watson is pulled from the historic Paradise Court to a ruined village from the First World War. Even with the help of the attractive and enigmatic Lucy, Neil cannot shake the feeling that something is missing from his explorations: a cryptic clue that might have been lost when Sandrock tumbled into the sea many years ago. A clue that could help Wesley solve his most puzzling case to date. DI Wesley Peterson is standing on the edge ...As more victims fall prey to a faceless killer, Wesley sees the investigation affecting him more personally than ever before. And when his precious family becomes a target, Wesley has no time to lose. Just like the fallen village of Sandrock, Wesley will have to stand tall if he is to withstand the coming storm ... 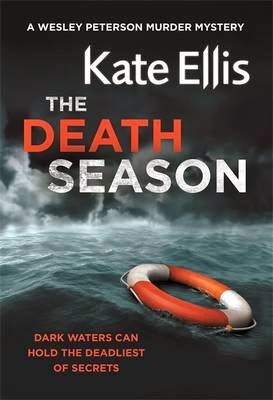 The Death Season is by Kate Ellis and is due to be published in January 2015.